Featured Image: Imprisoned freelance journalist Nguyen Van Hoa. Artwork created by Liset Celie Illustrations for The 88 Project. Greetings from The 88 Project! We are bringing you news, analysis, and actions regarding human rights and civil society in Vietnam during the week of November 12-18. After being transferred to a new facility 300 km from his family’s home, Nguyen Van Tuc remains in poor health in prison. Political prisoner Nguyen Van Duc Do was badly beaten at the Chi Hoa Detention Center and had to be treated in the prison’s medical ward. Imprisoned blogger Phan Kim Khanh is in good spirits in prison but has been struggling to get prison authorities to permit him to receive a Bible and books. 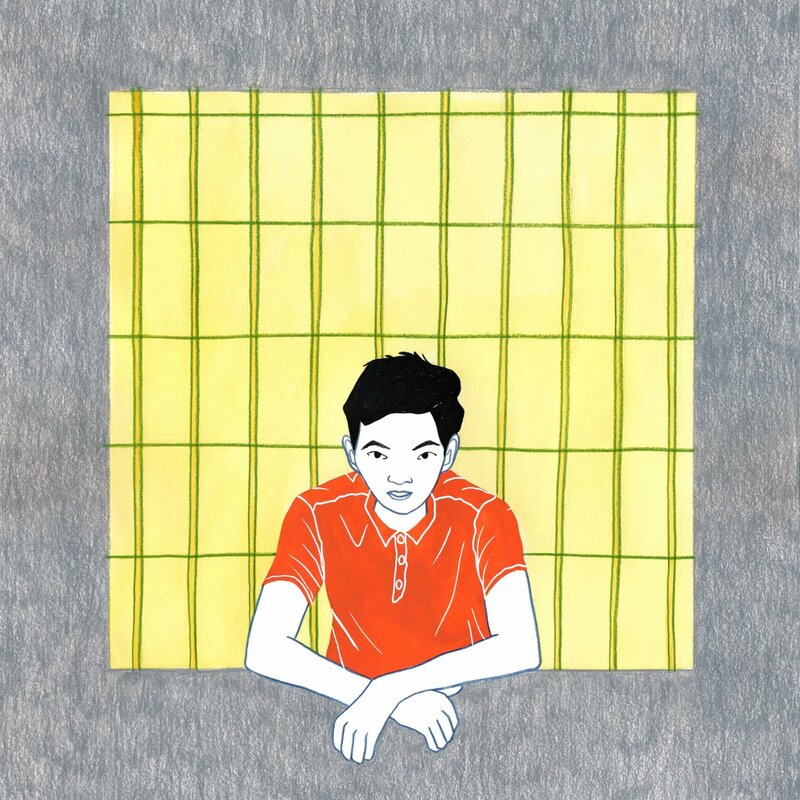 A year after his trial, we remember 23-year-old Nguyen Van Hoa, a freelance journalist, who has also faced difficult conditions in jail. And we are thinking of Hoa Hao Buddhist Le Thi Hong Hanh, arrested November 2017, who is one of 26 female political prisoners currently behind bars in Vietnam. This week, we also have an update on female journalist Thu Le after her being taken into custody on November 9, and news on police responses to two separate cases of community land confiscations. In international advocacy, read a letter of concern by experts on Vietnam in response to the accusation against professor Chu Hao and his publishing house, as well as a motion for a resolution from the European Parliament in regard to Vietnam’s political prisoners. A month after being freed from her 10-year sentence and sent into exile in the US, blogger Mother Mushroom continues speaking out for human rights in Vietnam — now from Washington D.C. In the news, read reflections from two high-profile female Vietnamese activists on the government’s crackdown on dissent, as well as an interview with Mother Mushroom, and an analysis of Vietnam’s use of torture. Coming up on November 22, Huynh Thuc Vy will face trial in Buon Ho commune, Dak Lak province, under Article 276 of the 1999 Penal Code for “offending the national flag.” Please take action for Tran Thi Nga, a land and labor rights activist who is serving a nine-year sentence. She, like Mother Mushroom, has two young children and has been active in advocacy for many years. Nguyen Van Tuc’s wife, Bui Thi Re, went to visit him at Prison 6, in Nghe An province, on November 12. His multiple diseases are getting worse, however, he remains in good spirits and he gave thanks to those who are concerned about him and his family. Tuc was recently transferred to the new prison, which is 300 km from their family’s residence, without formal notice given to his wife. On November 15, Nguyen Van Duc Do’s family came to Chi Hoa Detention Center to visit and bring him some food. Do revealed that on November 15, he was beaten by three prisoners. Do kicked the cell door and asked officials to transfer him to another cell. However, they did not take action and just told him to be quiet. As soon as the officials left, Do was beaten again to the point of unconsciousness. When he woke up, he was in the medical room of the detention center with many bruises and swelling over his face and body. On November 16, Do sent his brother a letter, calling for people and organizations to intervene on his behalf and save his life. His fellow prisoner and co-defendant, Luu Van Vinh, said he believes that the prisoners who beat Do acted with permission from prison officials. After a visit on November 11, Phan Kim Khanh‘s family reported that Khanh was in good health and spirits. Khanh’s family was able to send him some medicine but was having trouble in securing the detention officers’ approval to send him books, including a Bible and three bilingual books in English and Vietnamese. After Khanh argued with them, they accepted the three bilingual books but still refused to give him the Bible. Khanh continued to fight, and the authorities finally agreed to allow all four books. Nguyen Van Hoa. Portrait created by Liset Celie Illustrations for The 88 Project. Nguyen Van Hoa was the first to broadcast live footage of protests outside Formosa’s steel plant in Ha Tinh Province. Being from the affected area himself, the talented young journalist made it his mission to assist families in demanding compensation and justice after the toxic waste spill. However, he was arrested and sentenced to seven years in prison in a secret trial on November 27, 2017. In October, Hoa sent a letter to his family on detailing systemic abuse by multiple parties during his investigation and time serving the sentence in prison. We remember him on the first anniversary of his trial. This week, we also remember Hoa Hao Buddhist Le Thi Hong Hanh, who was arrested on November 13, 2017 and later sentenced to three years in prison. Officially charged with “causing public disorder,” along with several others, observers believe her’s is actually a case of religious persecution. Journalist Thu Le continued to face harassment after she was briefly detained and beaten by the police on November 9 for meeting up with families of protesters who were tried and imprisoned in Dong Nai province. She received messages from police officer Tuan 67 (Do Anh Tuan), who arrested and beat her on November 9, threatening her that she would get into trouble because of her Facebook posts about him. Her Facebook account was attacked by Force 47, a cybersecurity military force run by the Vietnamese government, which prevented her from replying to inbox messages, commenting, or posting. She also reported that her nose continued to bleed since the day she was beaten in police custody. In a letter sent to the authorities, Thu Le reported about the harassment and asked for an investigation into Tuan for detaining and beating her, as well as causing damage to her property. She also requested to be compensated and for Tuan to apologize to her publicly. On November 15, plainclothes police attacked protesters in Hanoi and arrested them while they were demonstrating against illegal land confiscation. The police forced them in a car and beat them. One victim had to be hospitalized. The group was protesting a project that would evict them from their townhouses to build a parking lot. Police also detained at least ten people in Da Nang this week as a force of 500 came to evict them from their homes to continue with a contested development project. The ten had protested with their community against the land confiscation, saying they were not adequately compensated for the land they use to live and grow rice on. The detentions are the latest in a long string of confrontations between residents and authorities over the eco-tourism project, which began in 2008. The affected community is largely Catholic. Over eighty scholars and researchers specializing in Vietnam sent a letter calling on the Vietnamese government to reassess the case of publisher Chu Hao, who was punished for publishing translated books with Western political content that were deemed to be damaging to the Communist Party. Several prominent members left the Communist Party after Chu Hao, director and editor-in-chief of Tri Thuc (Knowledge) Publishing House, was disciplined by the Party in October. On November 13, Nguyen Ngoc Nhu Quynh (a.k.a Me Nam or Mother Mushroom) started her campaign for Vietnamese human rights in Washington D.C. She particularly highlighted the case of Tran Thi Nga, who, like Quynh was, is a female political prisoner who has young children. She presented information about the Formosa environmental disaster and the heavy sentences authorities imposed against activists involved in protesting it. Quynh also gave thanks to those agencies and people who assisted in her early release from prison in October. During her time in D.C., she met with Voice of America, the Editorial Board of the Washington Post, EU representatives, the US State Department, Radio Free Asia, the office of Senator Marco Rubio, and the Committee to Protect Journalists. She also spoke out about Vietnam’s tactic of forcing political prisoners into exile in exchange for early release from prison. On November 22, Huynh Thuc Vy will be tried by the People’s Court of Buon Ho commune, Dak Lak Province, under Article 276 of the 1999 Penal Code for “offending the national flag.” She faces up to three years in prison. On November 2, 2018, the same court issued an order banning Huynh Thuc Vy from leaving her residence. She was put under supervision from November 6 to December 1, 2018. Vy is blogger and co-founder of Vietnamese Women for Human Rights.